As a result of a “zero-tolerance” policy enacted by the U.S. Department of Homeland Security and the U.S. Department of Justice, more than 2,000 children have been separated from their parents at the U.S.–Mexico border in the past several weeks. The controversial policy affects those families who attempt to enter the United States illegally, because the parents must face charges and do time in jail while their children are put under supervision of the U.S. Department of Health and Human Services. The president of the American Academy of Pediatrics (AAP) called the government policy a “form of child abuse” after touring a facility where children are being held. The AAP also released a 2017 statement urging that such child–parent separation should never occur, as such highly stressful experiences can cause irreparable harm to lifelong development. The latest Exchange event, “You Are Who You Were,” focused on the damage this type of toxic stress can do to a child’s health if left unaddressed over time. The evening’s speaker, pediatrician Nadine Burke-Harris, has made it her life’s work to study how childhood exposure to adverse events affects brain and body development in children, which can translate to health problems in these same individuals as adults. Scientists and entertainment professionals gathered at the Dan Eldon Center for Creative Activism in Malibu to learn about and discuss the impact of toxic stress in today’s world. 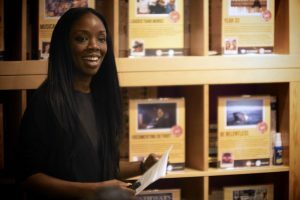 Burke-Harris, founder and CEO of the nonprofit Center for Youth Wellness in San Francisco, began her talk with the story of a patient she met while working at a clinic in one of the city’s poorest neighborhoods. Diego had been referred to the clinic by his school nurse for attention deficit hyperactivity disorder (ADHD). A closer look at his medical chart revealed that Diego stopped growing age 4, which happened to be the same year he became a victim of sexual assault. Burke-Harris realized that for kids like Diego, childhood trauma can have dire consequences on their future health. Although the concept of toxic stress in children is receiving major media attention in recent weeks, these alarming findings have been known for two decades. The original study, published in 1998 by the Centers for Disease Control and Prevention (CDC) and Kaiser Permanente, is one of the largest investigations of childhood adversity and health in later life. The authors surveyed more than 17,000 adults about 10 types of adverse childhood experiences (ACEs), including emotional, physical, and sexual abuse; physical and emotional neglect; growing up in a household where parents were mentally ill, substance dependent, incarcerated; parental separation and divorce; or the presence of domestic violence in the household. They found that ACEs were incredibly common—two-thirds of the population had at least one ACE, while one out of eight people had four or more ACEs. And when the researchers compared ACEs with health outcomes, they saw a relationship with heart disease, chronic lung disease, liver disease, and cancer. “Having an ACE score of four or more is associated with more than double the risk of ischemic heart disease, two-and-a-half times the risk of stroke, almost triple the risk of chronic lung disease, 11 times the risk of Alzheimer’s, and 30 times the risk of suicide death,” Burke-Harris said. Such eye-opening statistics confirmed what Burke-Harris was seeing in her clinic every day. The epiphany pushed her to start the Center for Youth Wellness, an initiative at the California Pacific Medical Center Bayview Child Health Center that seeks to create a clinical model that recognizes and effectively treats toxic stress in children. And she is using outreach platforms like TEDMED and The Exchange to publicize these findings and hopefully reduce the impact of toxic stress in the future.